The PS4 is still the best-selling next-gen console around, Sony says, dealing a blow to Microsoft which earlier bragged about a huge upturn in Xbox One sales earlier this week. Following the latest NPD report for June sales, Sony took to its PlayStation Twitter feed to announce the PS4 was still the best selling console in the United States for the sixth month in a row. The proclamation comes less than 24 hours comes after Microsoft announced Xbox One sales had doubled since it started selling the a less expensive version of console without the Kinect sensor. Neither side released specific sales figures to back up its claim, but Sony is also sticking its flag in the software sales crown. Elsewhere in the NPD report, there's better news for Nintendo with sales of its Wii U console leaping by 233% since June 2013, largely thanks to the launch of Mario Kart 8. The 3DS also experienced a 55% hardware jump compared to May 2014. 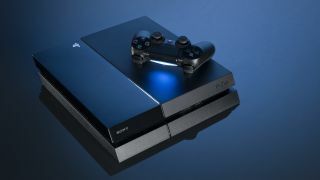 In terms of the next-gen, the latest official hardware figures had the PS4 at seven million sales (as of April this year), the Xbox One had three million by the end of 2013, while the Wii U had sold 6.17 million by the end of March 2014. For Nintendo, slow and steady doesn't quite win the race, but it seems good enough for a solid second place at the moment. Five ways Kinect's failure stiffed early Xbox One adopters.